Size: 8 1/4" x 11" x 2 3/4"
Description: This is the Ben Cooper Dr. 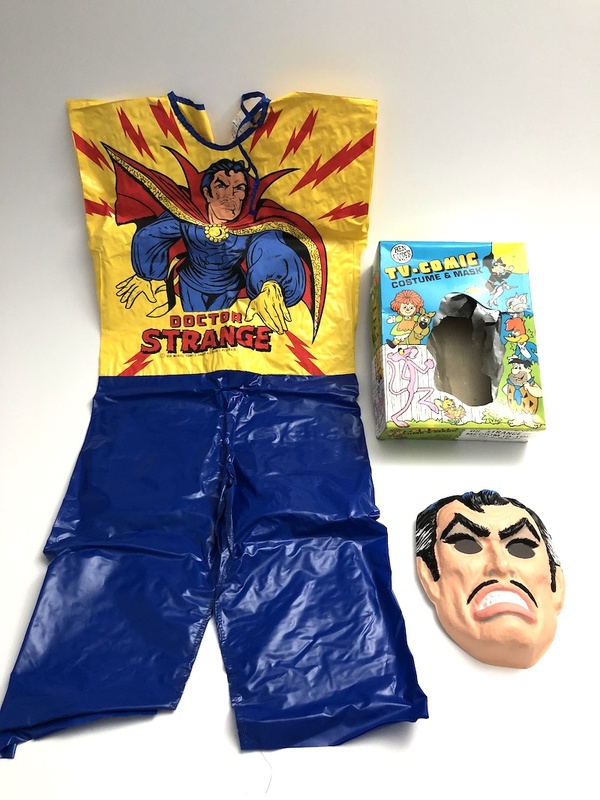 Strange Halloween costume. The one in the Archive is size medium fitting a child 47" to 52" tall.